24+ Seeds. Don't let the delicate looking flowers fool you - these are TOUGH plants! Like all Texas Sage (Salvia), they prefer full sun and fairly dry conditions - they definately don''t like wet feet, but they will bloom from mid-summer to frost for you growing in dry, poor soil and full boiling sun! These are HUMMINGBIRD MAGNETS! Great addition to your BUTTERFLY Garden, too! 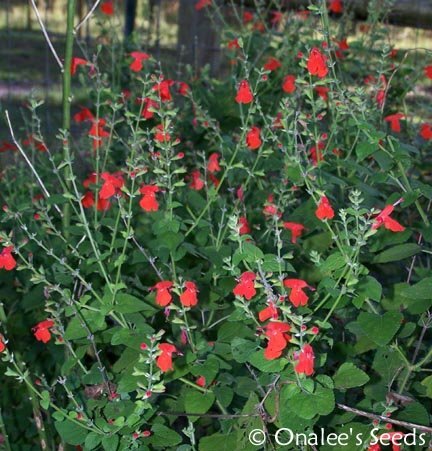 24+ Seeds for RED Texas, Hummingbird Sage (Salvia Coccinea, AKA: Scarlet Sage). These have beautiful SCARLET RED flowers. Don't let the delicate looking flowers fool you - these are TOUGH plants! Like all Texas Sage (Salvia), they prefer full sun and fairly dry conditions - they definately don't like wet feet, but they will bloom from mid-summer to frost for you growing in dry, poor soil and full boiling sun! What more could you want?! These plants are perennials in zones 9-11 (perhaps perennial even to zone 8) perfectly suited for growing as annuals in colder zones - they self-seed freely for more plants in subsequent years. Oh, and did I mention the hummingbirds love them? 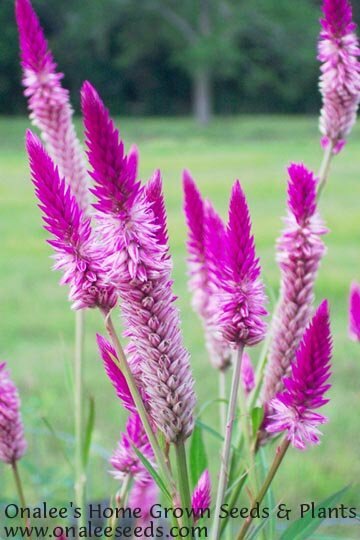 These are a perfect addition to any BUTTERFLY garden, too! These plants reach 18 - 24 tall pinch back to make them bush out and you'll get more blooms. Seeds are very small. Email me with any questions I will answer your emails!